Transform your classroom with the most intelligent and comprehensive platform that makes it easy to personalize learning for every student. Create courses in hours, not days, using time-saving content creation tools. 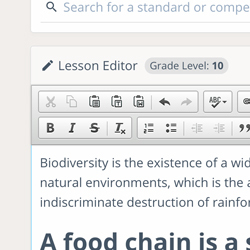 Fishtree minimizes manual tasks for teachers every day – planning courses, grading tests, finding teaching resources, tracking low-performers, and more. Put the student in charge of his or her learning by providing a personalized learning path for every student, designed to maximize engagement and performance. 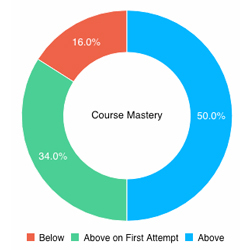 Maximize your current content sources or build new courses and save money by choosing from millions of high-quality open educational resources, which are automatically matched to critical learning standards and objectives. Receive robust analytics that can help you quickly identify achievement gaps, at-risk students, and ineffective teaching resources. Administrators real-time data to inform decision-making about performance across a district. Through Fishtree's scale and automation, administrators can quickly make data-driven decisions to improve outcomes, performance and adjust instruction. Teachers and instructional designers can save hours creating lessons, courses and assessments to quickly implement personalized and blended learning models. 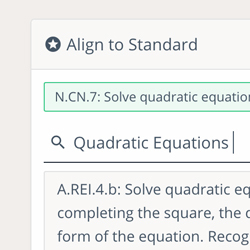 Teachers and designers can instantly curate OER aligned to standards and outcomes - saving thousands on textbooks. Measure standards mastery, evaluate instructional methods and guide real-time decision-making using intuitive dashboards. 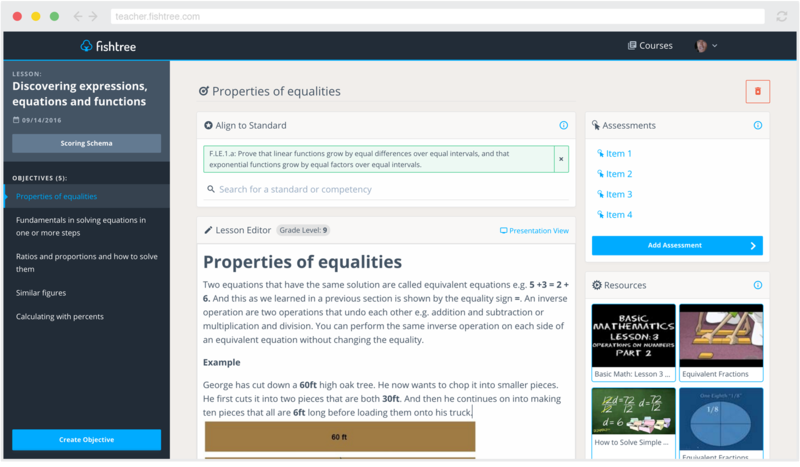 Easily integrate Fishtree with your LMS or SIS to create dynamic learning resources aligned to student needs. 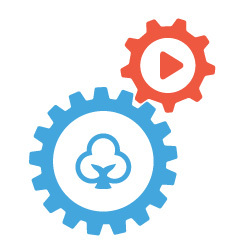 Learn how CMSD increased graduation rates by 20% using Fishtree. Download the case study. Hear from Stacey about her success with Fishtree Watch the video.